I did a doodle. 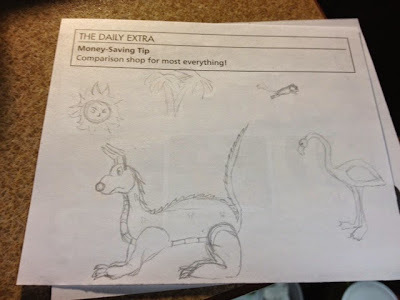 The most interesting part is probably the dog lizard thing. Feel free to give it an interesting name.